NGV Friday Nights returns for summer with a music line-up fusing classical and contemporary influences, exclusive late-night access to Escher X nendo / Between Two Worlds, plus bars and dining. This summer’s headline electronic artists and DJs include songwriter and producer Andy Bull, Melbourne duo Confidence Man, Sydney’s Nicole Millar, record producer Jonti and Australian/Filipino artist Chela. Creative collaboration platform anon. will also present Bach X Reimagined, an immersive music installation featuring live classical musicians in the Gallery Kitchen. M.C. Escher was inspired by Johann Sebastian Bach’s classical compositions and the repeated tessellations in his works echo Bach’s musical repetitions. Referencing this parallel, creative collaboration anon. 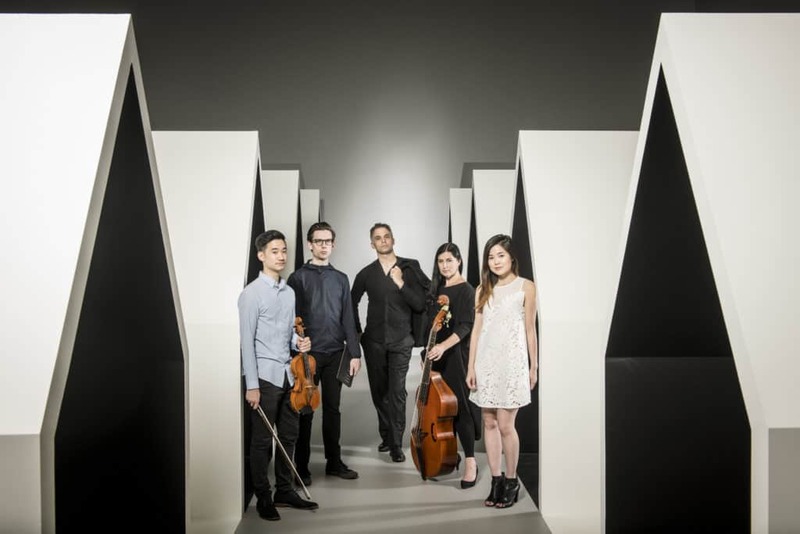 presents Bach X Reimagined, a classical performance and contemporary interpretation of one of the most influential composers in classical music. The program includes pop-up performances and soundscapes for audiences to enjoy alongside dining in the NGV Gallery Kitchen. A residency program of Melbourne DJs perform each month in the NGV Garden, with the series featuring ambient dance music duo Albrecht La’Brooy in December; the pop stylings of Eilish Gilligan (DJ Set) in January; and the good-time record collection of Pjenné in February. Indian Summer performs across March and Wax’ o Paradiso features across the final Friday and Saturday night performances in April. In the NGV Garden, the 2018 NGV Architecture Commission by Melbourne architecture practice MUIR and landscape architecture studio OPENWORK will be on display alongside stone sheep grazing, crows pecking and a horse galloping as part of Julian Opie. The NGV Great Hall will also function as a lounge, where audiences can settle in and soak up music from the garden. Tickets for NGV Friday Nights provide late-night access to Escher X nendo | Between Two Worlds, showcasing the extraordinary work of Dutch graphic artist M.C. Escher in dialogue with the work of acclaimed Japanese design studio nendo. Seamlessly presenting the worlds of one of the 20th century’s most recognisable artists and one of the 21st century’s most inventive designers, Escher X nendo | Between Two Worlds features more than 150 of Escher’s most renowned prints and drawings from the collection of Gemeentemuseum in The Hague, presented in an immersive exhibition space designed by nendo, alongside never-before-seen work from the design studio. ‘Offering access to Escher X nendo and the garden afterhours provides the unique experience of art, music and unforgettable Friday nights at the NGV this summer,’ said NGV Director Tony Ellwood AM. NGV Friday Nights includes after hours access to the exhibition Escher X nendo| Between Two Worlds, Julian Opie (until 15 Feb 2019), music, bars and dining. Due to the exhibition’s immersive layout, timed-entry will apply to NGV Friday Nights and standalone exhibition tickets for Between Two Worlds | Escher X nendo. Between Two Worlds | Escher X nendo will be on display at NGV International from 2 December 2018 – 7 April 2019. Tickets and information are available via the NGV website. Member $23 | Adult $28 | Concession $24.50 | Child (5–15 years) $10 | Family (2 adults + 3 children) $65.